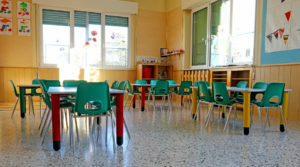 If your child is among the three-fourths of kids in the U.S. who participate in a preschool program, you’ve probably been lectured about a variety of back to school tips. One of the most fundamental tips that can’t be overlooked, however, is the importance of helping your child get a good night’s sleep. A lack of sleep can be detrimental to a child’s ability to learn and grow, particularly when it comes time to engage in all those fun academic preschool activities. Here are some ways to help your child get the best sleep possible. Establish a half-hour winding down period before bedtime. Keep the bedtime consistent and alert your child 30 mins and 20 mins beforehand. Keep mealtimes and playtimes consistent, as well. Avoid sugary foods and/or beverages near bedtime. The bed should only be used for sleeping, not playing or watching TV. Keep the bedroom quiet or play soft, soothing music or white noise. Between academic preschool activities, kids need time to slow down and rest so they are ready to learn and play for the remainder of the day. If you want your child to nap during the school day, it is essential that you establish a naptime routine at home as well. Just like you do at bedtime, establish a set time and routine to encourage rest and relaxation. Your preschooler may resist, but you must keep the routine consistent for it to work at all. Many academic preschool programs have an hour-long naptime, but it is ultimately up to you. Let your child rest for as long as you feel is necessary. One of the benefits of academic preschool is the teachers’ willingness to work with parents around their individual parenting styles. If you wish your child to sleep for longer or shorter than one hour, communicate this to your child’s teacher. The key to a good night’s sleep is establishing healthy bedtime habits early on. That is why creating a solid routine is so beneficial. If you are concerned about your child’s sleeping habits, consult your pediatrician to rule out any health or medical issues that might be disturbing your child’s sleeping patterns. Parents of Preschoolers — Check Out These 7 Great Back to School Tips! It’s that time of year again! You’ve had a lot of fun hanging with your little ones this summer, but pretty soon they will be back to school with their best friends and favorite teachers. But as you know, many kids have a hard time transitioning from summer vacation to school days away from the family. So if your child is among the 75% of children in the United States who participate in a preschool program, you may need some back to school tips to help you and your little one have an easier time changing gears. Summer schedules can be all over the place, and that’s okay! They wake up late; they eat when they’re hungry. Who cares? It’s vacation! School days, however, will require early wake up times and set meal times, so it is best to establish a routine before the first day. Two to four weeks before school begins, start easing preschoolers into their new routine to get their little bodies used to the altered eating and sleeping schedules. If you don’t, you may end up with one cranky kid on the first day of school. There are a ton of super cute and fun school supplies out there. Have a blast picking out a backpack, a set of sheets for naptime, and whatever else is on the list you may have received from the school. If your little one is a big fan of the Avengers, for instance, pick up a cool backpack or pillowcase featuring the Hulk. Supplying your child with school gear they can enjoy will help get them excited about heading back to the classroom. You may have also received a list of items not to bring to school. Make sure you read the list thoroughly and adhere to any and all classroom rules. Of all the back to school tips, this is one of the most important. Even if your child has been attending preschool for years, it is still essential to check out the new classroom and meet the new teacher ahead of time since change can be hard for kids to accept. If your school offers a preschool orientation day, check it out; you could even bring the whole family along. Familiarizing themselves with the space and the teachers ahead of time goes a long way towards easing start-of-the-year anxieties. You’ve spent the whole summer together, and now it’s time to go your separate ways to work and school. Of course, it’s only for a few hours a day, but for a preschooler, this can seem like a lifetime. Separation anxiety is totally normal and even expected in young children — and even for their parents! To make things easier on both of you, talk to your little one ahead of time. Let them know that you will be back to pick them up in just a few hours and remind them of all the fun they’re going to have with their friends and teachers. For worriers, sending your kids back to preschool can be a stressful day. Will they make friends? What if they get sick? Parents who are dreading the time apart from their kids should prepare so they can feel better about back-to-school time, too. If you know any other children enrolled in your child’s preschool, reach out to their parents before school starts. If possible, arrange a playdate. Not only will this give you another parent to speak with, but it will give you peace of mind knowing your son or daughter already has a friend at preschool. If you don’t already own books about school, order some online or stop by the local library. When you read stories about the first day of school aloud to your preschooler, you will prepare them mentally for the big day. Not only will this help ease the transition back into school, but many of these books address specific fears kids have about the classroom. Plus, reading to your kids is always a good idea. Finally, it’s always helpful to remind yourself just how much your child will benefit from his or her time in preschool! After all, there’s a reason we call our preschool in Bergen County, New Jersey, the Learn and Grow Academy. Remember that the best preprimary programs are groups or classes that are organized to provide high quality educational experiences for children. They can include kindergarten, preschool, and nursery school programs. From 1990 to 2013, the percentage of three- to five-year-olds enrolled in preprimary programs increased from 59 to 65%, demonstrating that the academic preschool curriculum is more important than ever for grade school readiness. In fact, 60% of at-risk children were found to be less likely to go to college if they did not receive a quality preschool education. 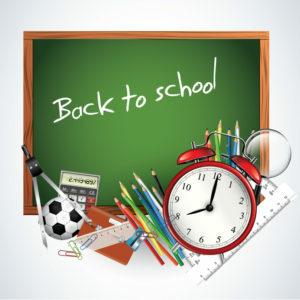 What other back to school tips do you have for parents of preschoolers? Feel free to share your own preschool back to school tips and suggestions with us! By now you may have heard about the many benefits of enrolling your youngster in an academic preprimary program. 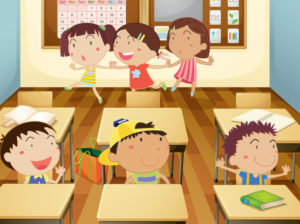 Preprimary programs are organized to provide educational experiences for children. 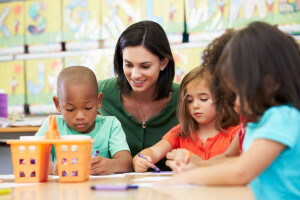 They include kindergarten, preschool, and nursery school programs that focus on grade school readiness and overall growth and development during the earliest years of a child’s life. These programs have proven to be beneficial across all areas of a child’s development, which is why three-fourths of young children in the United States are currently enrolled, and the number continues to grow. In fact, from 1990 to 2013, the percentage of three to five-year-olds participating in preprimary programs increased from 59% to 65%. The high quality education provided by the academic preschool curriculum cannot be matched by any daycare center or at-home child care. The truth is that 25% of at-risk children are more likely to drop out of high school if they do not get a quality preschool education. The decision to enroll your little one in a preprimary program is simple. The hard part is finding the right preschool for your child. Know your priorities: When it comes to your children, you’re the expert. What matters most to you in a preschool program? Are you looking for a particular approach to learning? For instance, some align their parenting philosophies with one of several educational philosophies, such as the Montessori approach, the Waldorf approach, or the Bank Street approach. You might also be looking for specific activities or skills you want your child to learn, including dance, art, or storytelling. Whatever they may be, write down your priorities so that you can evaluate different programs based on your list. Research: Ask friends and family for referrals; after all, personal references are the most reliable. You may also want to consult experts in early childhood education. A stamp of approval from the National Association for the Education of Young Children (NAEYC) is certainly something to look for as a reliable sign of quality childcare. Check out their searchable online database for accredited preschools. Go for a visit and interview: The only way to get a feel for the environment is to visit the facility in person. Talk to the director, meet the staff, visit the classrooms, and make sure to ask plenty of questions. Observe the center’s daily activities and watch how the staff interacts with the children. Ultimately, trust your gut feeling. Finding the right preschool is only half the battle. Once you have decided on a preschool program, get on the waiting list. Quality academic preschool programs are highly sought-after and they fill up quickly. To increase your chances, try writing a letter to the director, thanking him or her for the tour, and explaining why your child would be a good fit for the school. If you have any additional advice, feel free to post in the comments section below. Summer is upon us! Sunshine, barbecues, baseball — who’s thinking about school? If you have a little one heading to kindergarten in the fall, you should be. Summer is the best time to start preparing your tiny tot for grade school readiness, after all. Perhaps your child has been attending a casual daycare program since she first started to crawl, or maybe she already has a couple years of academic preschool activities under her tiny belt. Either way, a summer program might be the perfect way to introduce your little one to the structured days of kindergarten while giving her a social and education boost in the process. Preschool certainly is not a requirement for all children, but it is becoming increasingly common in the United States. As of 2013, 65% of American children aged three to five were enrolled in a preprimary program, up from 59% in 1990. Of all American five-year-olds — the age at which most kids are getting ready to enter kindergarten — 84% participated in a preschool program in 2013. If you have any experience with the preprimary curriculum, you may already be familiar with the many benefits of academic preschool programs. The importance of a high-quality education begins at a young age. In fact, studies have revealed that at-risk youth are 25% more likely to drop out of high school if they did not attend preschool as a child, and 60% are less likely to attend college. Academic preschool activities promote the healthy development of a child’s social skills, intellectual abilities, and fine and gross motor skills. Many programs lay a foundation for math, reasoning, and reading — skills that will be built upon in kindergarten. Sending your child to preschool is not just about giving him a head start when it comes to academics. It is also about easing him into the structural and behavioral standards of grade school so that he knows exactly what to expect when he walks through the classroom door on the first day of kindergarten. It is also about fostering a lifelong love of learning and a sense of motivation for academic excellence. There are plenty of preschool programs out there, but not all are created equally. 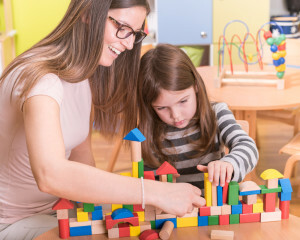 There is a huge difference between a day care facility and a pre-primary school, though both exist under the larger umbrella of childcare programs. Preprimary programs are groups or classes that are designed to provide educational experiences for young children, including kindergarten, preschool, and nursery school programs. As many as three-fourths of young children in the U.S. participate in preschool. Finding the right preschool is not as simple as asking for recommendations or searching online for positive reviews. Finding the right preschool for your children requires a combination of research, visits, and asking the right questions. There are many benefits of academic preschool as opposed to a daycare facility. Parents should look for a preschool that offers a rich learning experience to children, helping them with all forms of age-appropriate development. Academic preschool activities include learning through play, practicing color, shape, alphabet, and number recognition as well as basic social skills. Grade school readiness should be an important goal when it comes to the preschool curriculum. What is the educational background of the teachers and staff? Naturally, you want your child’s teachers to be experienced and fully qualified to care for children as well as teach them. Ask about teachers’ training, experience, and understanding of basic child care. Young children need to rest for a period during a busy day. Find out how nap time is enforced and whether you need to bring your own supplies or if the school provides a mat, sheet, and pillow. If these things are provided by the school, find out how often they are washed. Inquire about healthy food options, as well as allergy issue and dietary restrictions. Ask about classroom rules as well as the types of disciplinary actions that are taken so that you and your child know what to expect. Find out how the teachers encourage positive behavior. Preschool provides a foundation for the life of your child. Over three-fourths of young children in the United States participate in a preschool program, and finding the right preschool for your child is a task that should be taken with extreme consideration. Here are five reasons why preschool is beneficial to your child. For many children, attending preschool is their first experience in a structured setting with teachers and other children their age. It is an opportunity to socialize, follow instructions, and share, all of which provide a foundation for a high quality education they can expect in kindergarten. Most parents are enrolling their child in preschool in order to put them on the path to success in school. Academic preschool programs will offer a child the opportunities of constructed playtime and high quality education. Preschool teachers understand the ways young children grow and learn, and develop activities to help them thrive during the day. Putting your child in a quality preschool program will shape the outcome of their life. Shockingly, 60% of at-risk children were found to be more likely not to go to college if they didn’t get a quality preschool education, with 25% being more likely to drop out of high school if they didn’t attend preschool. In order to learn, it is necessary for a child to feel as if they are cared for in a secure environment with a teacher or caregiver. Developing a bond with a teacher will help a toddler build trusting relationships with adults outside of their family while helping to nurture warm relationships among teachers and parents. Additionally, children thrive when there is consistency in care between home and school. In high quality preschools, teachers communicate with parents so they can keep a universal teaching style. As a parent, you can expect to receive daily reports on your child’s progress along with regular meetings to discuss values and goals for your child. An important skill to learn before entering kindergarten is to learn how to appropriately choose activities that match the child’s interests. This will lead to a child feeling more responsible and confident in their decisions. Your child can only benefit from attending preschool. Enroll them today! What’s the Difference Between a Preschool and a Daycare? Preschool, daycare, what’s the difference? They are both just places to drop off your kid when you go to work, right? Wrong. More and more parents are discovering the benefits of academic preschool, and how a strong academic preschool curriculum can set their children up for grade school readiness. 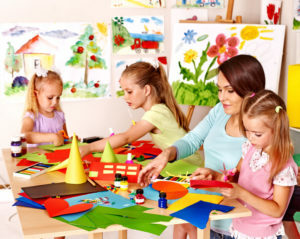 A daycare center is a place that provides supervision of young children when parents are busy or at work. The settings may look similar: a building with a playground, bright colored rooms with art supplies, toys, and cheerful music. The activities may even appear to be the same — drawing, coloring, dancing, building, singing — but the difference is in the purpose of these activities and the dedication of the supervising adults. A teacher at a preschool is not a babysitter. The teacher’s primary role is to create a stimulating environment for the children in which they will be learning and cultivating important life skills. Oftentimes, this learning is conducted through play, but the games and academic preschool activities are designed to provide children with an experience that will foster personal growth. By contrast, a daycare worker’s job is to ensure the children’s safety and keep them occupied while they wait for their parents’ to pick them up. Learning can certainly happen at a daycare facility, but it is not the purpose, and the daycare workers are not trained to educate, but rather to care-take. As many as three-fourths of children in the United States attend an academic preschool program. The percentage of children between the ages of three and five enrolled in these programs increased from 59% to 65% Between 1990 and 2013. The number continues to grow today as studies have shown the positive effects an academic preschool curriculum has had on participating children. One study showed that one-fourth of at-risk kids were more likely to drop out of high school if they did not get a quality preschool education. Furthermore, 70% of at-risk children were more likely to be arrested for committing a violent crime if they did not attend a quality preschool. The academic preschool curriculum does not directly deter children from committing crimes or staying in school, but it does instill in them an interest in learning. When a child starts at a young age, she is more likely to understand the importance of education; when education is mixed with fun and play, she may develop of love of learning and even a love for school. Summer learning loss — a phenomenon you may have heard of before. It’s not just a way to poke fun at how quickly kids forget everything they’ve learned once school is out — it’s a real, observed issue that occurs to millions of children every year. Previous studies estimate that the average child forgets about 2.6 months of mathematics education and 2 months of reading. In fact, a percentage of the achievement gap in reading that occurs later in high school has been traced back to summer learning loss. Why does this happen? The current school schedule is based on an outdated system. In the beginnings of the public school system, the majority of Americans were involved in agriculture. Today, few Americans work on farms — and yet the long break persists. So how can you combat summer learning loss in 2016? For younger children, taking an academic preschool curriculum over summer can help them prepare for the rigors of grade school. About 75% of kids in the U.S are currently enrolled in a preschool program, yet the summertime is often ignored. Getting children involved in grade school readiness during July and August allows for a more smooth and prepared transition into their first year of grade school. According to a recent study by the Afterschool Alliance, many students and parents want summer learning programs — they just don’t always have access to them because of location or finances. Luckily, preschools often cater to a wide range of demographics, and about 45% of children living below the federal poverty level are currently enrolled in preschool. It’s easy to assume that no summer program will fit your family’s requirements, but in many cases, the right program is out there. There’s a difference between daycare and preschool. Preschool focuses on grade school prep. Daycare, on the other hand, is essentially the same thing as babysitting. Look for preschool education activities that focus on encouraging scholastic growth. It’s worth noting that 60% of at-risk youth were found to be less likely to go to college if they didn’t receive a quality preschool experience. Not everything you do to combat summer learning loss needs to be a massive undertaking; sometimes, it can be as simple as visiting your local library. Middle income students actually experience slight gains in reading over the summer compared to their peers — and this typically relates back to the ability to access books through a library or bookstore. Preschool education activities often include reading time. Whether it’s preschool education activities like reading a new book, or attending a summer learning class, there are ways to cut down on the effects of summer learning loss. As one of the cornerstones of contemporary society, receiving a quality education is a priority for many parents and children alike. The benefits of receiving a quality education have been showcased for decades. However, little attention is brought to the benefits of starting young, especially for at-risk youth. With 75% of young children through the country participating in academic preschool programs of some sort, many parents are getting their kids’ educational careers off on the right foot. Unfortunately, that number shrinks dramatically when turning the lens on impoverished families. Only 45% of children who live below the poverty level are enrolled in preschool. Research shows that participating in a quality academic preschool curriculum gives at-risk youth a much better chance to continue their education long-term. A recent study found that 60% of at-risk youth — three in five — were more likely to avoid college if they didn’t receive a quality preschool education. Aside from continuing their education, there are many short-term effects of enlisting your child in academic preschool activities. Here are just a few. Socialization: By spending time around other children and adult authority figures, children learn how to harmoniously interact with others. They also learn about conflict resolution, varying cultural differences, and social cues. Exposing your child to different people from a variety of backgrounds allows them the opportunity to become open-minded. Grade School Readiness: Preschool is designed to get a head-start on your child’s educational career. While many preschools choose to avoid the traditional sit-down and teach method that many kids encounter in elementary school, they are nonetheless exposing children to new knowledge they’ll absorb and retain. Preschool features a large level of exploration for young children, something that allows them to learn more about their interests and the world around them. Activities such as telling stories and singing nursery rhymes helps build language and pre-reading skills, all the while keeping a child interested and intrigued. Independence: A huge part of preschool is teaching kids how to be independent and think for themselves. For many youngsters, the first day of preschool can be their first day away from their parents. Though it can be daunting, it teaches children that to be more self-reliant. They will learn that it’s okay to be away from their parents and there are plenty of things outside of their comfort zone that are enjoyable. If you have any questions about the benefits of preschool, feel free to share in the comments.